No need to install at the other end to password protect USB drives. 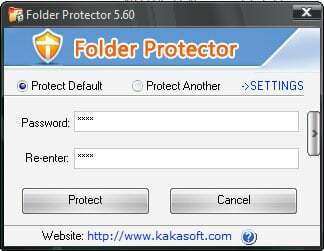 Folder Protector offers fast and reliable PC independent protection. Portable data protection for your external storage devices. Does NOT save passwords in the registry or the disk, preventing hackers and crackers. Exceptionally fast Encryption as well as Locking. No competitor can claim this.